When Is a Professional Roofer Necessary? HomePonding Water 101Ponding Water 101When Is a Professional Roofer Necessary? Most commercial buildings have flat roofs. 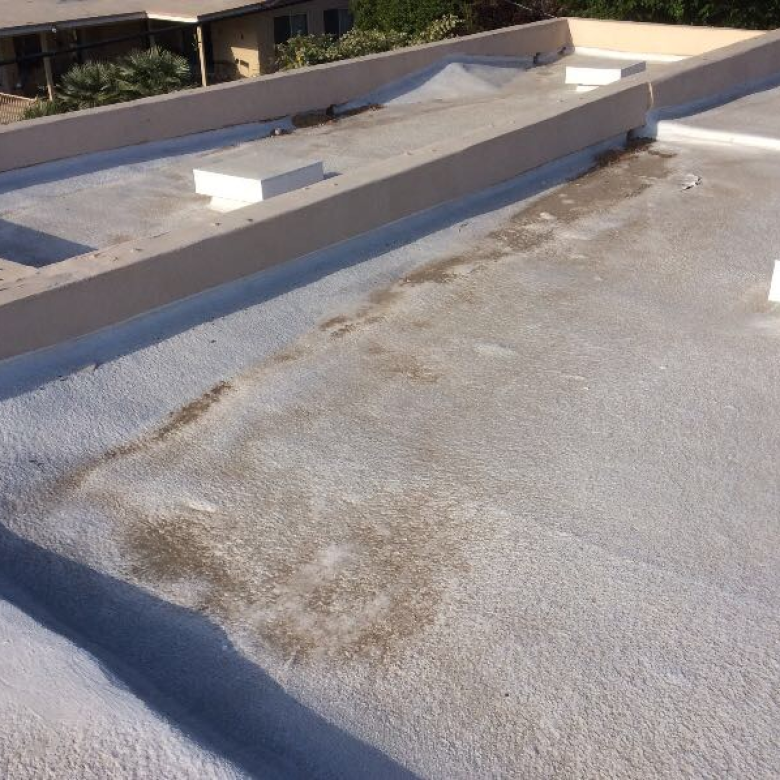 But just as other roofs, a flat roof is prone to certain conditions that need to be repaired. While you may not need a roofing contractor to fix some types of minor roofing problems, you do need a professional for repairing more major issues. Often, people who try to repair flat roofs don’t do a proper job or fail to meet roofing regulations. Even worse, they can injure themselves or even die. It’s important to know when to call a professional roofer. Here are some situations in which using a professional roofer is necessary, along with when you can probably do the job yourself, provided you take needed safety precautions, use the right tools and know what to do. Mold growing on a roof is a condition that should be left to a roofing specialist. As mold continues to grow, it can destroy a roof. Besides having to replace the surface of a roof, you’ll need to replace your deck. Therefore, it’s imperative that an experienced and skilled roofer examine any mold damage on your roof and make repairs before even more damage occurs. Another roofing concern that warrants a professional roofer is roof valleys. This condition is caused by roofing layers compressing. Leaves, dirt and debris can block water from passing through, so it has to flow sideways, sliding across a roof and underneath the roofing tiles. When this occurs, the old roofing needs to be removed and replaced so that the valleys don’t become a weak spot. It’s essential that you have a roofer examine the situation and take care of it immediately to prevent the condition from intensifying and entailing major structural repairs. Failing to correct this problem can cause the roof underlayment to deteriorate, causing water to leak into a building. Roof slants are a major problem. Don’t attempt to repair a slanted roof on your own. This is especially the case when noting that the condition is due to structural damage. Even if your roof has a minor slat, it can still be a sign of significant structural issues that could lead to even more intense damage. Damage to a roof deck should be repaired by a professional roofer. There are several ways to detect this issue, such as by noting an exposed deck as well as seeing major slants and valleys. Other clues may include noting water damage and visible sunlight streaming through openings in the ceiling on an attic. On the other hand, some roofing problems can usually be done by the average handyman. These minor issues typically only require a few basic tools, along with some experience. Replacing a single torn shingle—Shingles can easily crack or tear from inclement weather. If you have several torn shingles, it’s best to use an experienced roofer. Fixing a small hole in roofing flashing can usually be done by an experienced handyman. Repairing a ruptured membrane—To repair a flat, EDPM rubber-roof membrane, apply a patch to the affected spot. A hot-tar-and-gravel roofing membrane is repaired by first cutting out a section and then replacing it. 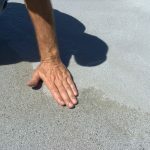 Correcting ponding water—This is a common problem that occurs on flat commercial roofs as a result of rainwater failing to evaporate after rain has fallen on a roof, following a period of 48 hours. 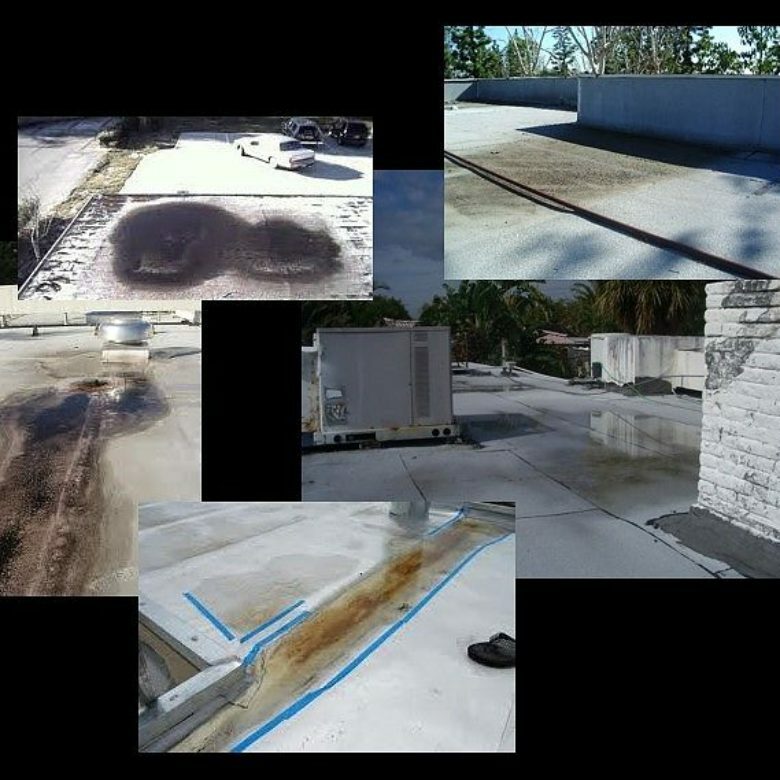 Fortunately, at RoofSlope we have an effective product designed to fix low spots on flat roofs. It’s important to know the age of your roof so that you can determine whether you need to make repairs or replace your roof. Keep in mind that a typical roof is made to last for roughly 25 years. Therefore, if your roof is close to this age, you’ll need to consider replacing it. Don’t hesitate to call a roofing contractor if you notice that your roof is sagging. This can suggest several conditions. You can even detect a sagging roof from the inside of a building. A sagging roof can be the result of weakened material from continued use or from becoming watered damaged. Do you have a flat commercial roof? 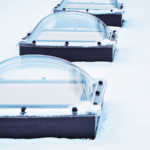 To learn more about how our unique RoofSlope product can correct ponding water, please contact us.